In most large venues utilizing security screening, hand-held metal detectors are used to pinpoint targets detected by a walk-through metal detector. Other facilities utilize hand-held detectors as a primary scanning tool. 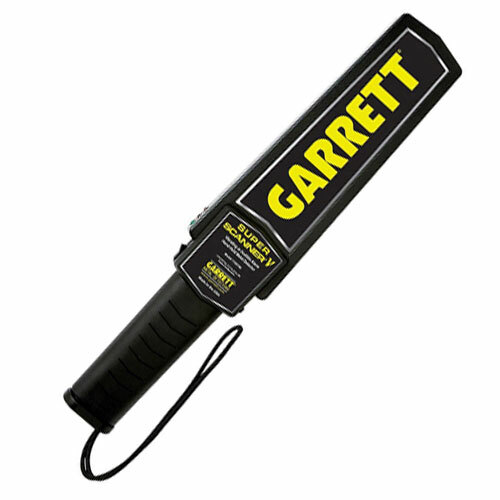 The black and yellow wand made in the USA by Garrett Metal Detectors has been a global standard for decades. The SuperScanner V is trusted to help protect many sports stadiums and multi-use special events facilities. The SuperScanner V is also widely used in many other security screening applications, including: public transportation, loss prevention, airports, corporate security, schools, courts, and prisons. Interested in Super Scanner® V?